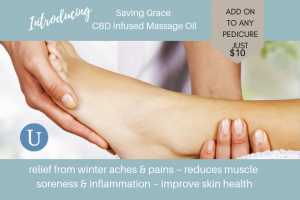 Upgrade any pedicure with a CBD Oil add-on! 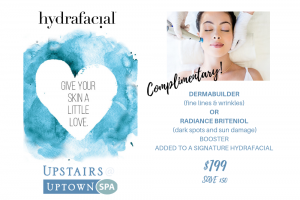 Show your skin some love on us with a Complimentary Hydrafacial Booster! 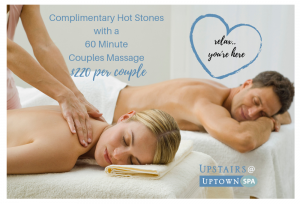 Fall in Love Upstairs at Uptown and enjoy a Couples Massage with your partner! 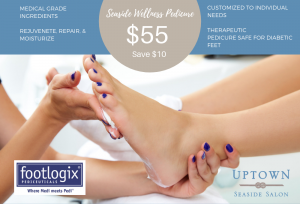 Show your feet some LOVE with our Wellness Pedicure - Exclusive to Uptown Seaside! 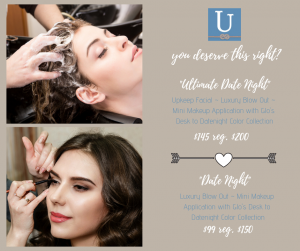 Let Uptown help you look your best!